Advisor to Newgen in transaction with HSBC. Newgen Software Technologies Limited, today announced that SAP Ventures has invested in the company for a minority ownership. 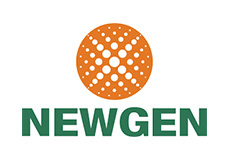 Newgen will use the proceeds to fund continued growth, including product development & acceleration of global expansion plans, particularly in new geographies across the world like USA. The company is targeting expansion of its sales and marketing operations from 30 countries at present to 100 countries in the next four years. Newgen is a provider of enterprise solutions for BPM & ECM in BFSI, BPO, Telecom, Manufacturing & Government segments. According to IDC, Newgen is the market leader in India & has a global footprint with substantial market share in the Middle East, Africa & APAC. “An integrated Content Management & BPM platform is vital to successfully automate paper-based workflows & manage the enormous volume of digital content created,” said Ranjan Das, President & CEO, SAP Indian Subcontinent. “In line with our focus, I am delighted that SAP India is able to nurture innovation in the Indian IT Sector through this investment in Newgen by SAP Ventures." Speaking on the investment from SAP Ventures, Diwakar Nigam, MD & CEO of Newgen said, “We are pleased that SAP has chosen to invest in Newgen. It is a testimony to Newgen’s Imaging & Workflow products for BPM. We have many installations where we complement SAP in the Manufacturing & BFSI market segment. There are obvious synergies between the products of SAP & Newgen & the investment will lead to closer working of the two companies which will help Newgen to grow faster & garner larger share of the fast growing BPM space." Earlier this year, Newgen announced a significant investment of INR 300 million for a minority stake in the company by HSBC Private Equity (Asia). Now with SAP on board, Newgen is one of the few software product companies to have financial backing from the world's leading Financial Services and Technology companies that have extensive reach in overseas markets. Newgen Software is a market leader in Business Process Management (BPM) and Enterprise Content Management (ECM), with a global footprint of about 700 installations in over 30 countries. More than 100 of these implementations are large, mission-critical solutions deployed at the world's leading BFSI, BPO and Fortune Global 500 companies. Newgen is recognized by distinguished research firms like IDC in its exclusive report “Newgen Software: Global Leader in Business Process Management and Document Management Solutions” and Celent as “Significant Player” in Banking DMS report. Winner of several awards such as Frost and Sullivan’ “Market Leadership Awards for Document Management System and Workflow Software 7 Services” and “Distinguished Application Product Company” by NASSCOM. More recently, Newgen Software won the prestigious CNBC Emerging India Awards 2008 for the IT, ITeS and ICE category. SAP Ventures is the corporate venture capital arm of SAP AG. SAP Ventures invests in innovative and disruptive software and services companies globally. SAP Ventures seeks to bring substantial benefit to all parties by facilitating interaction between portfolio companies and SAP and its ecosystem of customers and partners. SAP Ventures has a successful track record of building industry-leading companies by partnering with outstanding entrepreneurs and top-tier venture capital firms since 1996. Avendus is a full service Investment Bank with strong presence in M&A Advisory, Private Placements, Structured Finance Advisory, Equity Capital Markets, Institutional Broking & Alternate Investment Management. The company focuses on high growth industries where Indian companies have a strategic advantage globally, including IT Services, IT Enabled Services, Media, Life science, Automotive & Engineering, Real Estate, Infrastructure, Infrastructure ancillaries, Financial Services and Consumer Products and Services. Avendus clientele ranges from high growth mid cap companies to large companies represented in the BSE SENSEX and established Private Equity funds. Avendus was ranked 5th by Bloomberg in 2007 in number of transactions in M&A advisory and Private Placements. Avendus is head quartered in Mumbai and also has offices in New York, London and Bangalore. The firm also operates through a JV in Europe.